Historic downtown Tipp City is one of the premier dinning and shopping destinations in Ohio. Located 15 miles north of Dayton just off I-75 in the heartland of America. 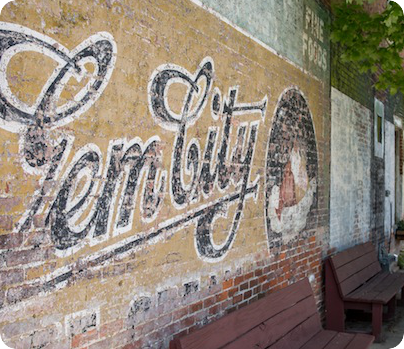 Known throughout the region for it’s outstanding school system, charming historical homes, and family friendly atmosphere, Tipp City is a unique community with an eclectic blend of history and high-tech industry. The historical business district is filled with wonderful antique stores, boutique clothing stores, and specialty shops from toy stores, to bookstores and bike shops. You will find everything you are shopping for in Downtown Tipp City. If it’s dining you desire then Tipp City has the best food in the region. Coldwater Cafe, Harrison’s Restaurant, Hickory River Smokehouse, for BBQ, and Sam & Ethel's provide family friendly dining that everyone can enjoy. You can also find your favorite JAVA at the Tippecanoe Coffee Company and Grounds For Pleasure or head on down to Tony’s Bada Bing for a cold beer. Tipp City has benefited from its founding residence, who envisioned a city of growth, progress, and development. That vision is still evident today as it was when the city was founded in 1840 by John Clark. Generation after generation, the city continues to be filled with citizens who care about the community and each other. This spirit of working together is what has attracted many new families and businesses to Tipp City. It’s a wonderful place where people can work, live and play, but most of all, it’s a place where people can raise their families.